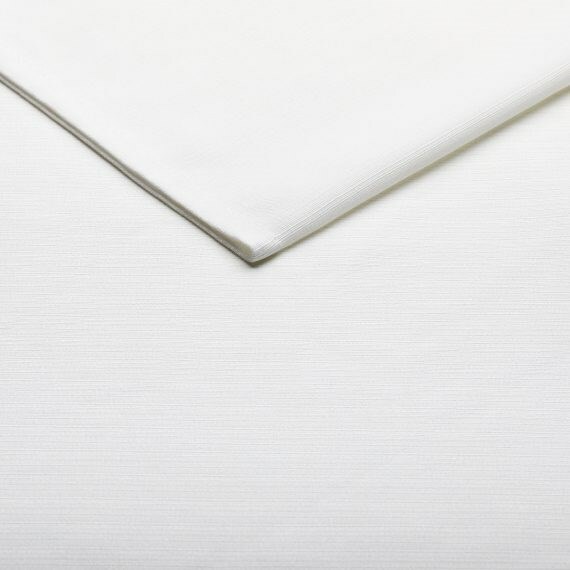 A textured/ lined rectangular tablecloth in white that is part of our premium linen collection, measuring 3.6 m by 2.1 m. This tablecloth will fit our 8′ trestle tables or 8′ banquet trestle tables perfectly. When used to dress an 8′ (2.4 m) trestle table, this cloth gives a drop of 60 cm at either end, and a drop of 67 cm along each side. When used to dress a banquet trestle table, this cloth gives a drop of 60 cm at either end, and a drop of 50 cm along each side.